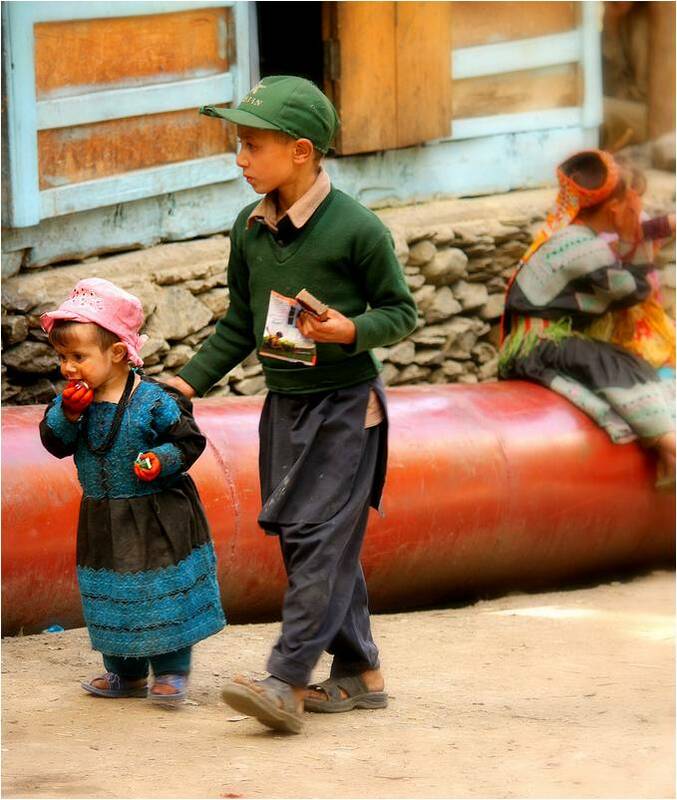 In the mountains of the Hindu Kush in Pakistan, six thousand or so people live who look and sound very different from their neighbors. They claim to have lived in the area for thousands of years and they look to all intents and purposes, European. 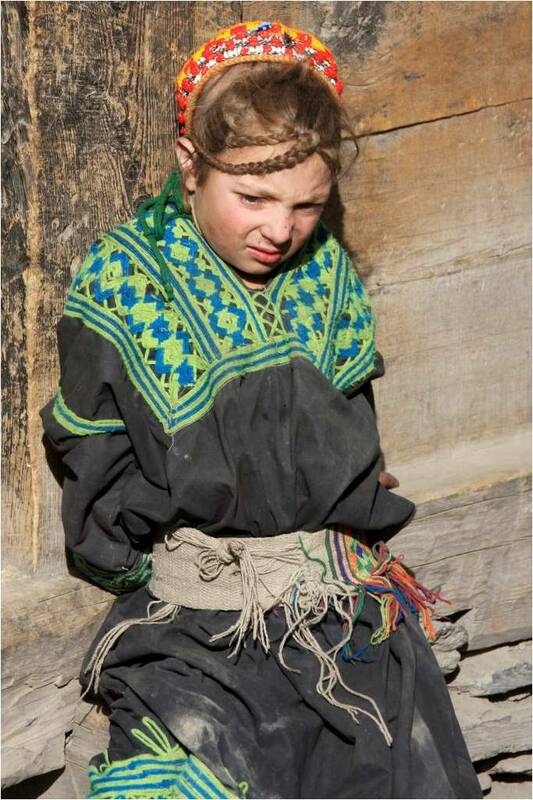 Many of the Kalash are blond haired and blue eyed, somewhat of an anomaly in Pakistan! 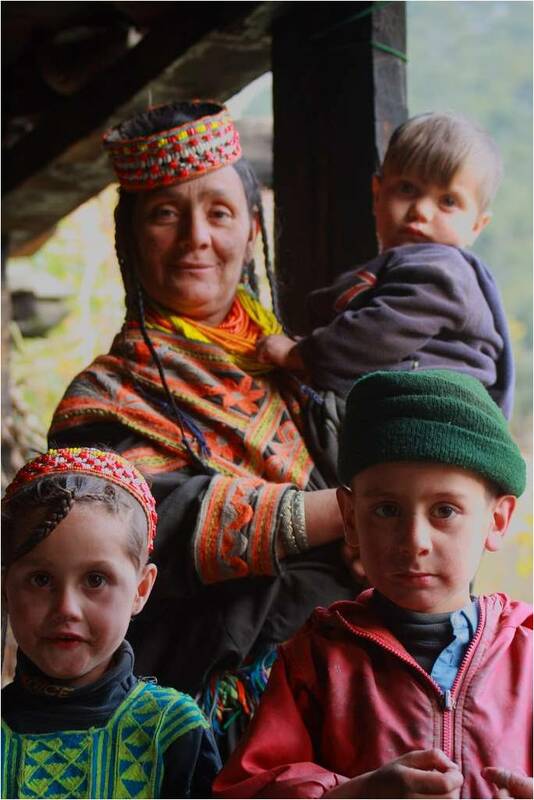 Some believe that that they are descendants of Alexander the Great’s army though their true ethnic origins are still unproven. 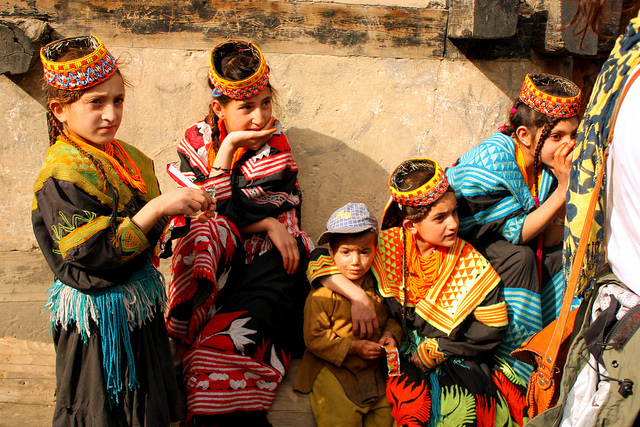 They have a significantly different outlook on life from the Muslims surrounding them – they are polytheistic and have a completely different folklore (which has been compared to that of ancient Greece). 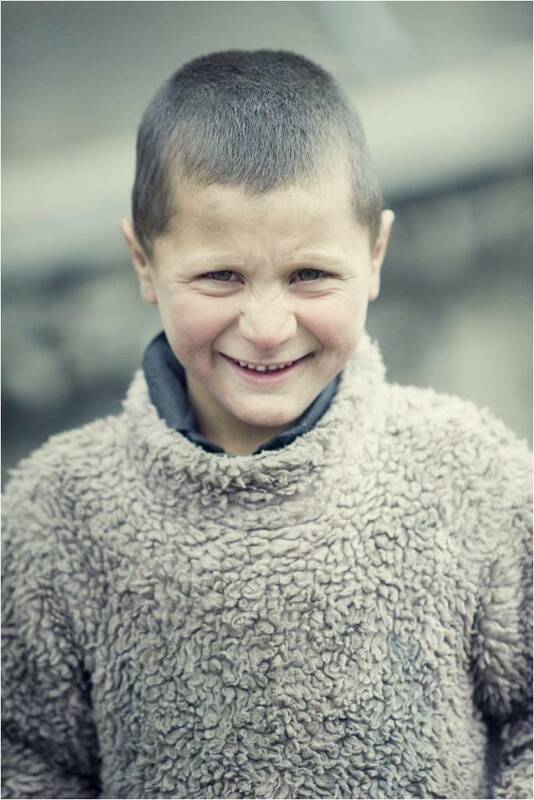 DNA testing has not, however, produced any connection to Greek people. 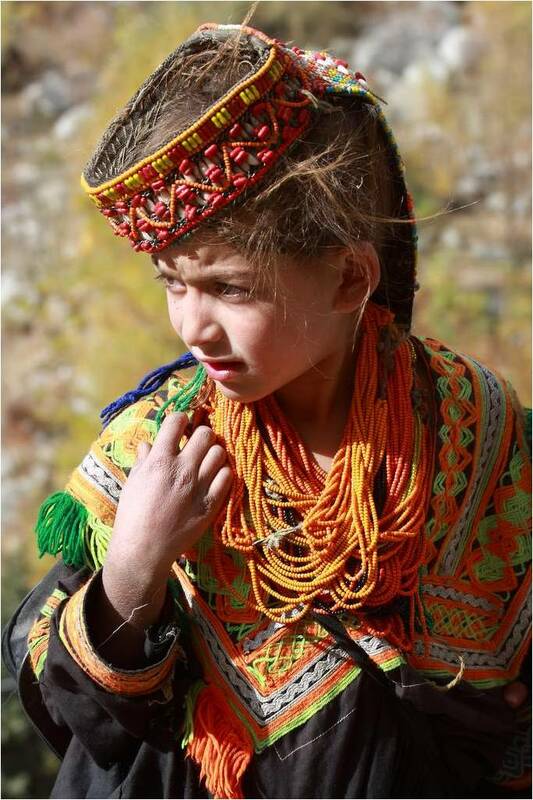 Yet although there is no genetic support for a Greek origin, the tests on the Kalash also showed no detectable East or South Asian lineages. 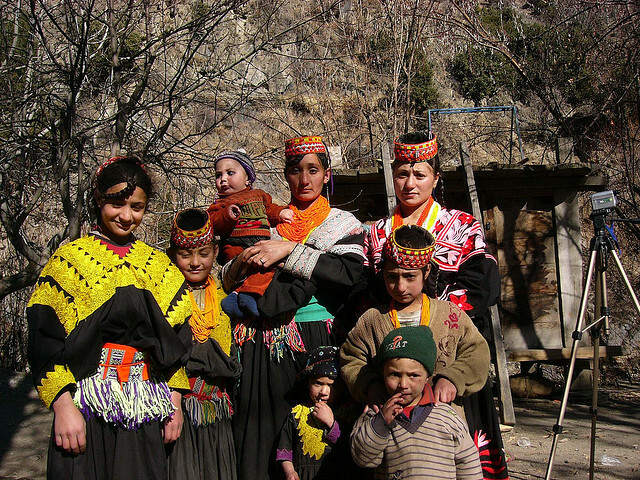 Taking in to account genetic drift it was then thought that the Kalash blood line originated in Eastern Europe, the Middle East and the Caucasus. 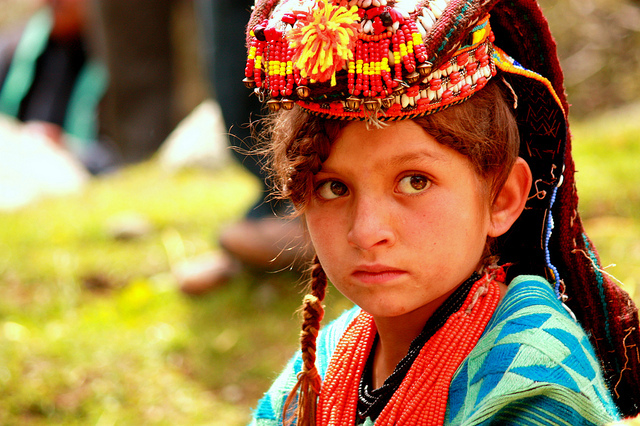 However, another series of tests suggested that perhaps the Kalash are in fact aboriginal to the area with only negligible contributions from external peoples. In other words, the jury is still out as to where they actually come from but it might well be exactly where they are right now. 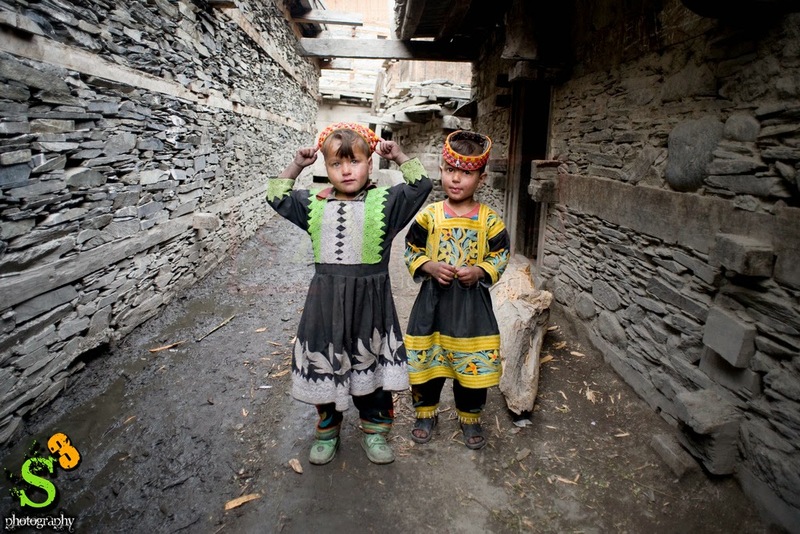 They live in Kalasha Desh – which translates as the three valleys of the Kalash – and that is the limit of their people’s range. 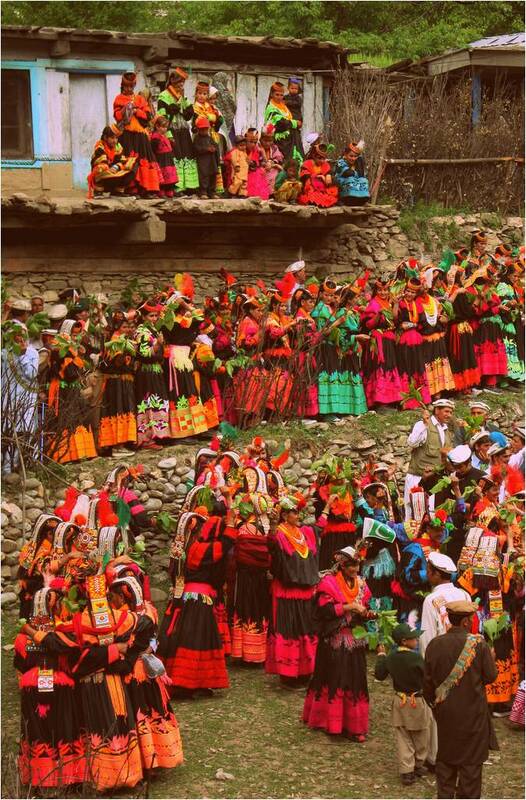 There are only around five thousand speakers of the language, Kalasha, left which in terms of a language means that it is critically endangered. However, it is thought that the language probably never had more than a few tens of thousands of speakers at any one time. 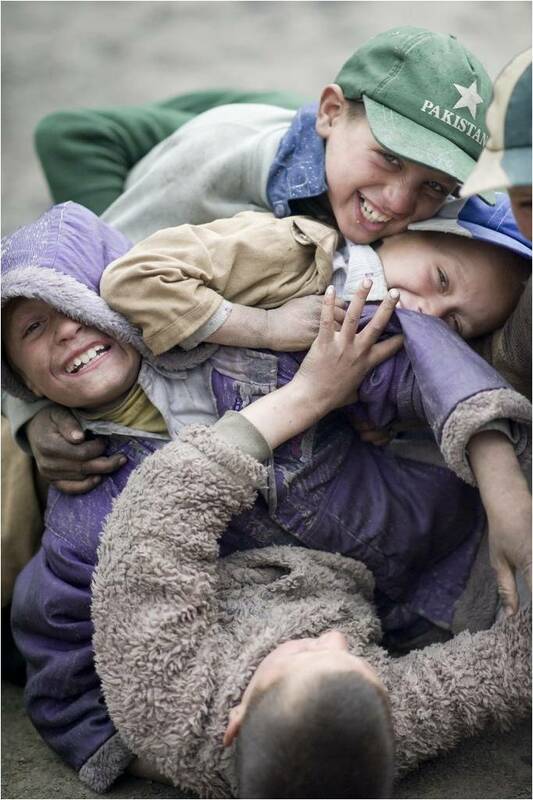 As their numbers are very small the culture of the people who surround them have had an impact. 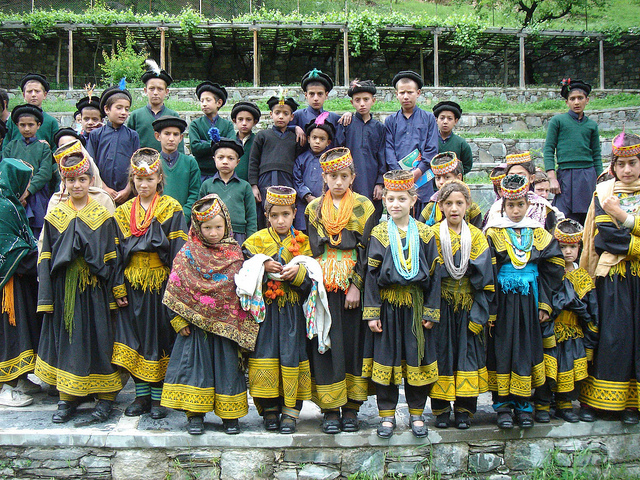 Many of the Kalash in two of the valleys have converted to Islam, probably around fifty percent. 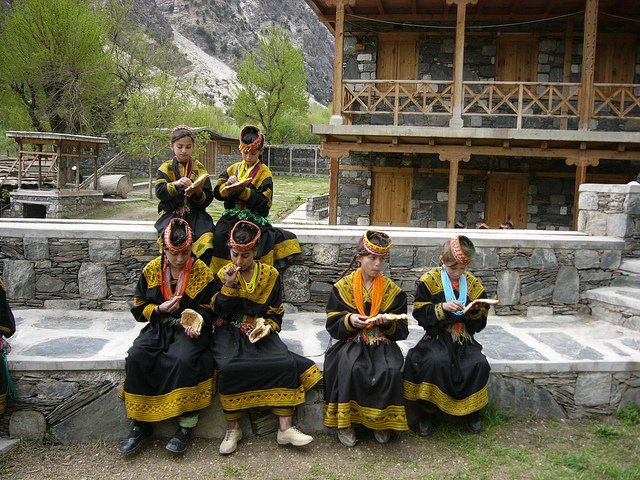 They still practice many of the traditional aspects of Kalash life though the non-converts call them ‘sheiks’. 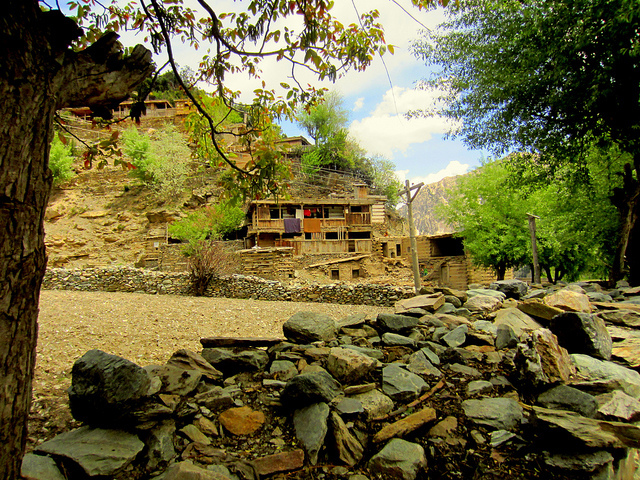 A third valley, known as Birir, still clings to the traditional way of Kalash life. 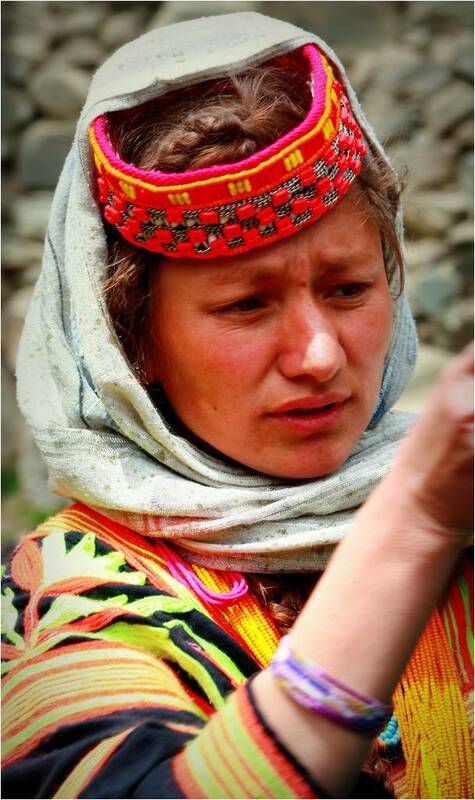 By some standards the Kalash are very poor and it is true that they are subsistence farmers. 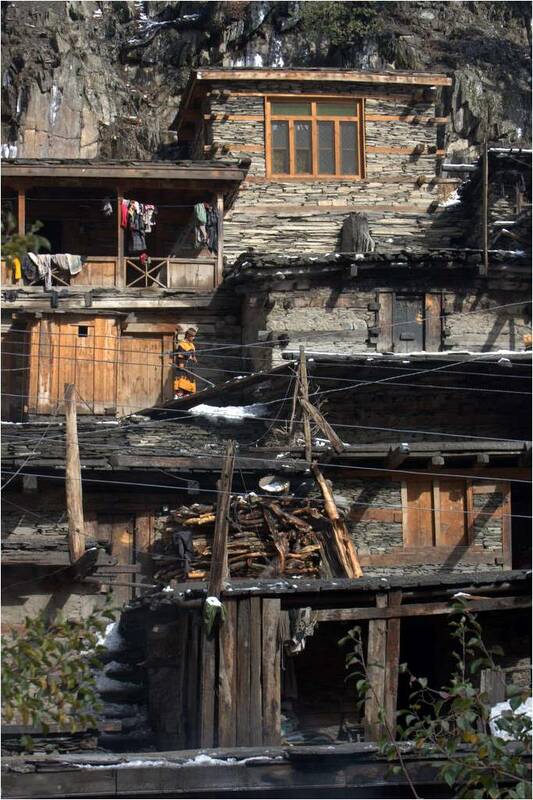 Kalash houses are typically made from Deodar trunk to an ancient design. 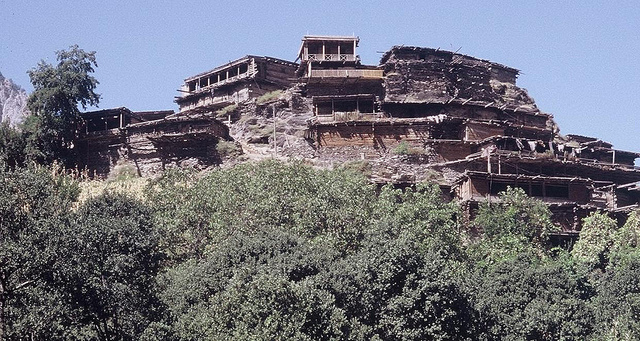 They appear singly or stacked up against each other up vertiginous hillsides. 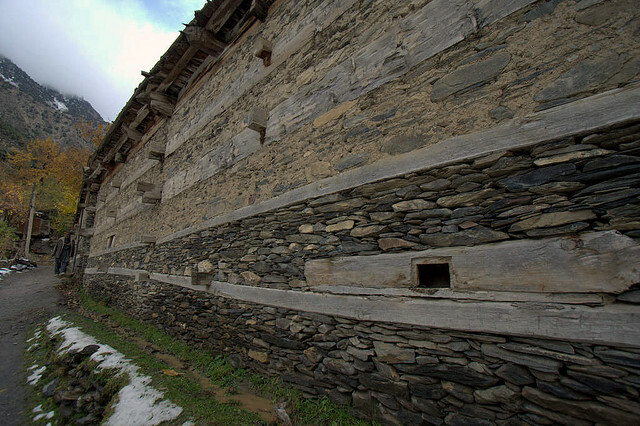 Yet even though the houses often look precarious, they are built on solid stone foundations. 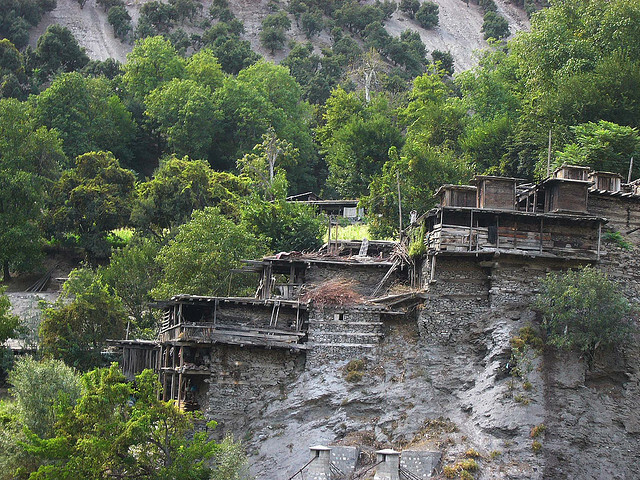 Many have inbuilt beehives, given the villagers access to honey close by. Life is, however, hard. 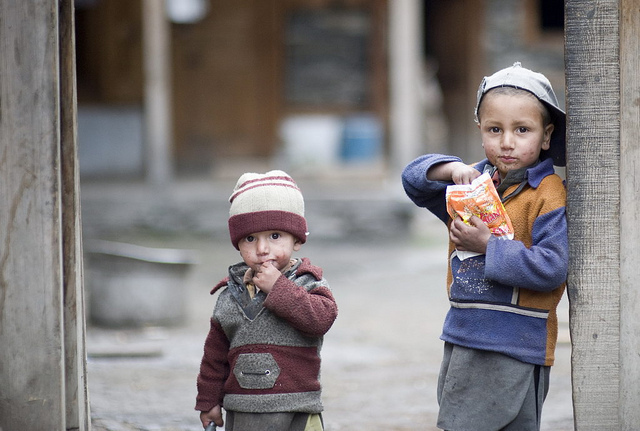 Outbreaks of cholera still happen regularly in these remote villages. 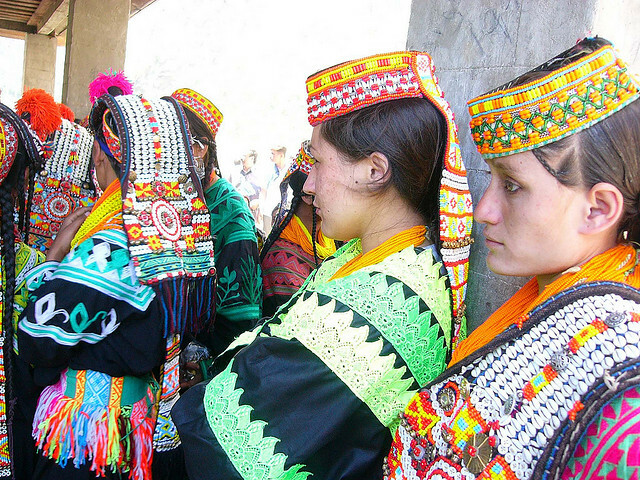 In stark contract to the culture of Pakistan the Kalash do not separate the sexes or disapprove of contact between men and women of different families. 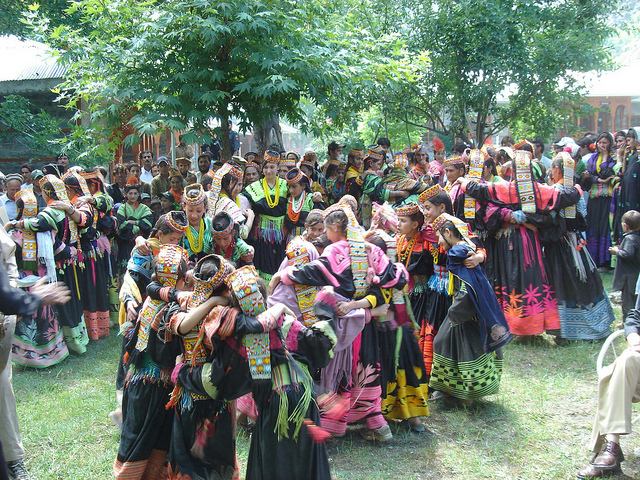 However, there is the ‘bashelini’ – a house in the village where menstruating women are sent until they regain ‘purity’ and rituals must be performed before she can return to her husband. 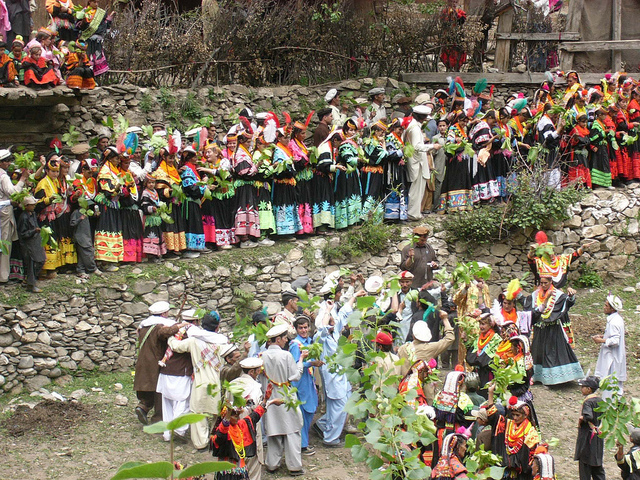 Elopement is regular in Kalash society and – strangely – it occurs often among married women. The woman herself will write to the prospective groom and offer her hand, informing the new man how much her previous husband paid for her. 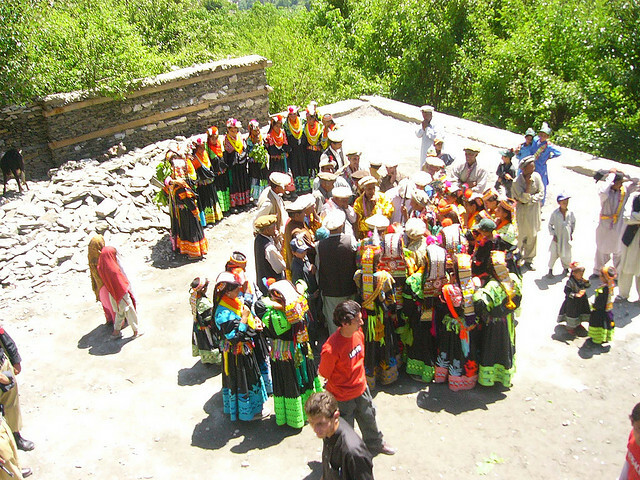 The Kalash have, for however long they have been in the Hindu Kush, made their livelihood by herding goats and farming. 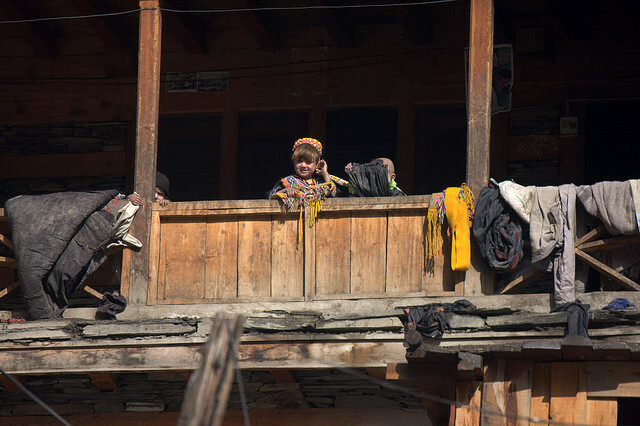 Yet tourism does not play a major part in their lives with many urban Pakistanis making the journey from the big cities to meet their light colored rustic neighbors. 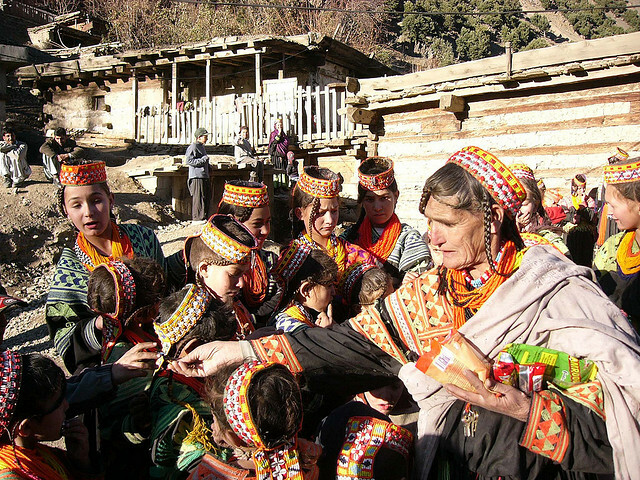 The Kalash are protected by the government of Pakistan but their future is uncertain – particularly if the religion declines in to theocracy. 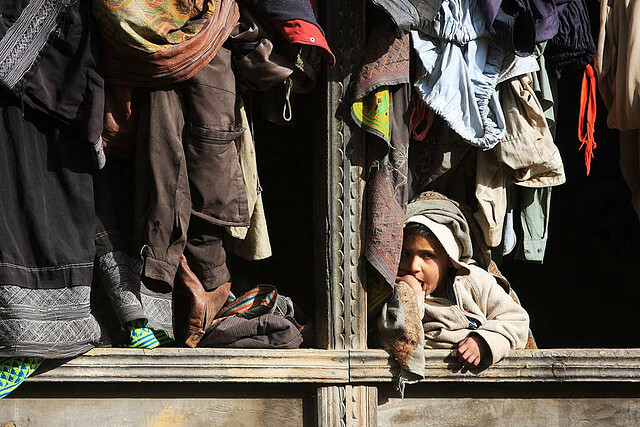 There have been recent Taliban incursions and a Greek aid worker was kidnapped in 2009 (she was returned unharmed four months later after an outcry). 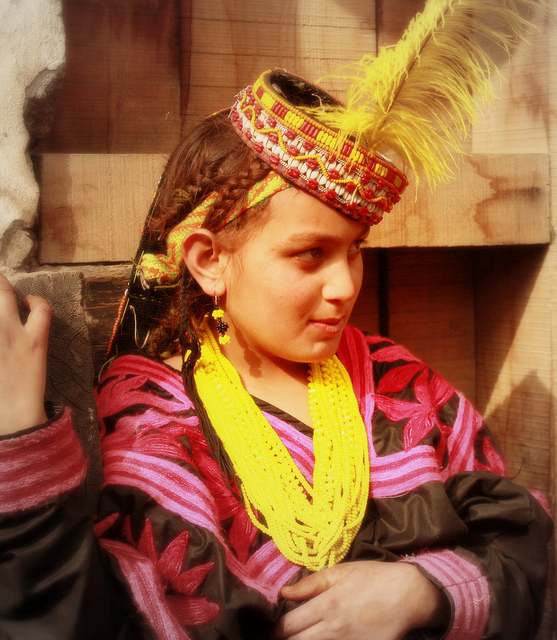 However, their relative isolation may well ensure the Kalash survive.